Who's Your favorito! Team on The Amazing Cartoon Race's And It's Seaso Two. Who's Your favorito! Team on The Amazing Cartoon Race's? Who Knows más About The Amazing Cartoon Race's and it's a examen mostrar And Who Will Win The Money? The Game is The Big manzana, manzana, apple And tu Gotta To Get All The Red And Green Apples And Yellow Apples To Win. Who will get to the Bikes First And Found me to Win and The First Team is seguro and The Last Team There is Out? a comment was made to the poll: Who's Your favorito! Team on The Amazing Cartoon Race's? a pop quiz question se añadió: Who joined the game first? 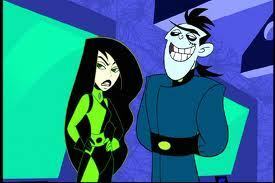 Who Helped Dr.Drakken and Shego in the game?